Promotion will start from 1 February 2018 00:00:00 (GMT+8) until 28 February 2018 23:59:59 (GMT+8). Member will be automatically entered to the daily drawn if the member has made minimum MYR 388 total deposit on the particular day during the promotion period. Cash Draw Winner will be informed through Phone Call at the following day. 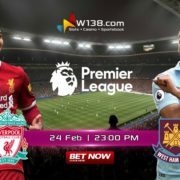 W138 reserves the right to forfeit the cash draw prize, if the player did not response within 7 days after the announcement date. 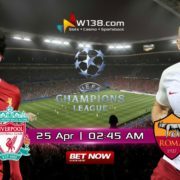 Mega Cash Prize (MYR 288 each) will be credited into player’s wallet within 1 hour after the notification to Player has been done. Bonus is subjected to 5 times rollover before any withdrawal can be made. Draw result, both sides bet, voided, cancelled game or bets placed containing selections of odds less than 0.5 or 1.50 (Decimal odds) are excluded in rollover calculation. 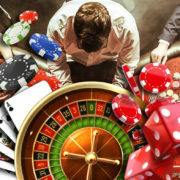 Blackjack 21, 3 Pictures, Texas Hold’em Bonus, 4D, Poker and RNG games are not applicable to this promotion. Only 25% of total wagers placed on any games of Roulette (all variations), plus 50% Slots will be counted towards the rollover requirement. This promotion can be combined with all existing promos at W138. Each player only allowed to have one registered account in W138.com. Otherwise W138.com will treat these accounts as an organizational account. W138.com reserves the right to terminate the accounts, and credit will be frozen permanently. General Promotional Terms & Conditions Apply. 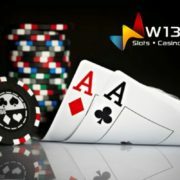 W138 is an Malaysia online gaming platform made for every gamer, gambler and leisure seekers alike. The site allows its members to engage in live betting games, stay up to date with their Sportsbook, dive into arcade games non-stop 24/7. W138.com offers you a variety of services with bonus treats to maximize your gaming experience.